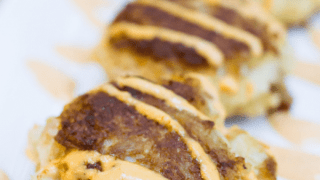 Homemade Crab Cakes are one of my favorite appetizers, ever, but most places just do NOT do them justice. 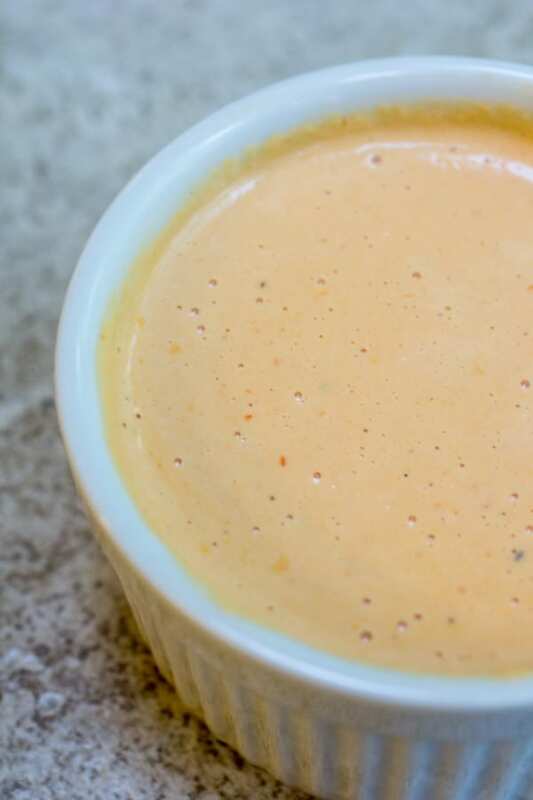 I’m here to fix that, and give you an awesome recipe for a roasted red pepper aioli while I’m at it. 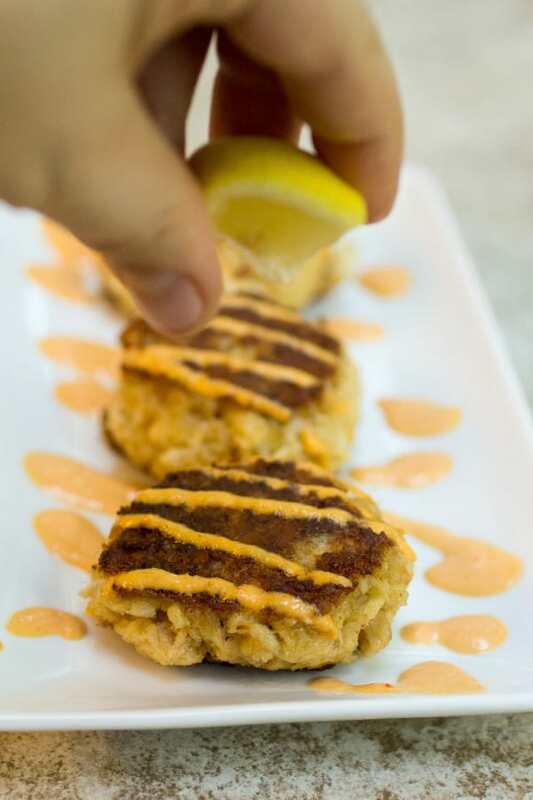 Crab Cakes are one of my very favorite appetizers when I’m eating out, especially when they are well done. Well done crab cakes mean WAY more crab and less filler than you will typically get, so ensure you get the best of the best and make your very own crab cakes with roasted red pepper aioli. In fact, this made-from-scratch roasted red pepper aioli was in a tight competition for favorite flavor on this plate. It kind of left me wanting to think of other things I could make that would just be a vehicle to get this aioli from the dish to my mouth. When I first moved from Minnesota to Washington I got a job at a restaurant right on the Puget Sound waterfront. One of their most popular appetizers was their calamari. I could’ve taken or left the actual calamari itself, but the red pepper aioli that they served it with was perfection. Since then I’ve been on a quest to make and perfect my own version, and today I finally got it. I’ve tried the cheater aiolis made with a mayo base, and honestly? They just didn’t live up to my memories. I have no idea what that restaurant used in their own aioli, but this is the closest I’ve ever come to matching it, and it was WAY easier than I thought it would be. Definitely start this recipe out by making your sauce. It was really really good room temperature, but this is the kind of dipping sauce that I prefer to be slightly chilled. 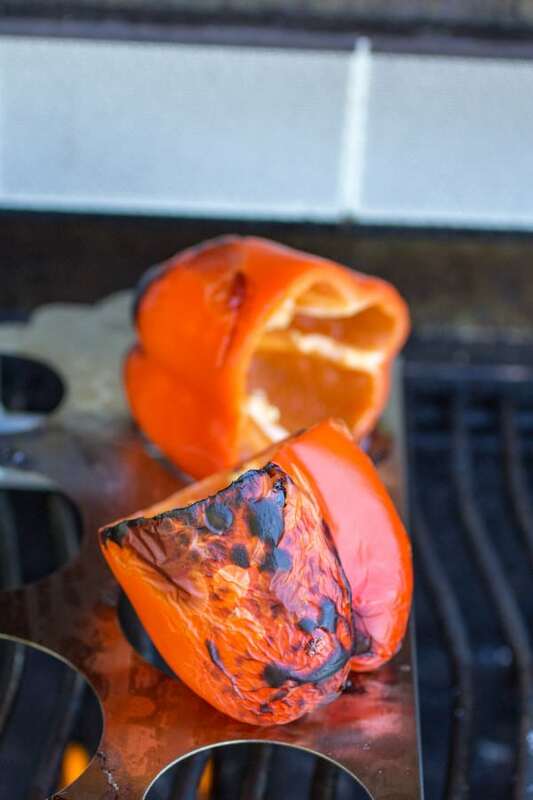 Roast your red bell peppers over high heat on the grill. Check them often, and turn occasionally to ensure even cooking. You want some charring going on here. It is what gives the red peppers their roasted deliciousness. 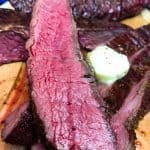 When they are evenly blackened, carefully remove them from the grill and place right into a paper grocery bag and roll to seal. It steams the peppers a bit, and makes it much easier to remove the skin. After the peppers are cooled, remove the skins, slice, and toss into your blender with your egg yolk, garlic, salt, and lemon juice. Blend until well combined, the egg yolks have lightened slightly, and the peppers are fully pureed. Next slowly drizzle in your oil until the mixture emulsifies and thickens. I used between 1/3 – 1/2 of a cup of oil, but you may need a little more or a little less depending on how you prefer your aioli, and how big your red peppers were. After your aioli is done, put it in the fridge to chill and start your crab cakes. Mix together the mayo, egg, dijon, Worcestershire, and chili garlic paste until combined. Add in your crab meats. 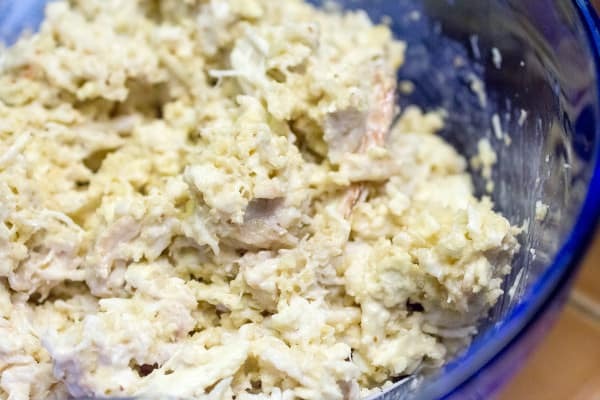 I really like using one can of lump crab meat, and one can of claw crab meat. 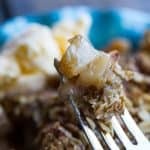 It makes for an amazing combination of flavors from the different parts of the crab. Add in the cracker crumbs and panko, and gently mix. Form gently into discs, and fry over medium heat until both sides are golden brown. 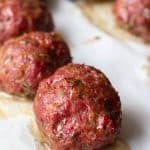 More great appetizers can be found here! Check them out! 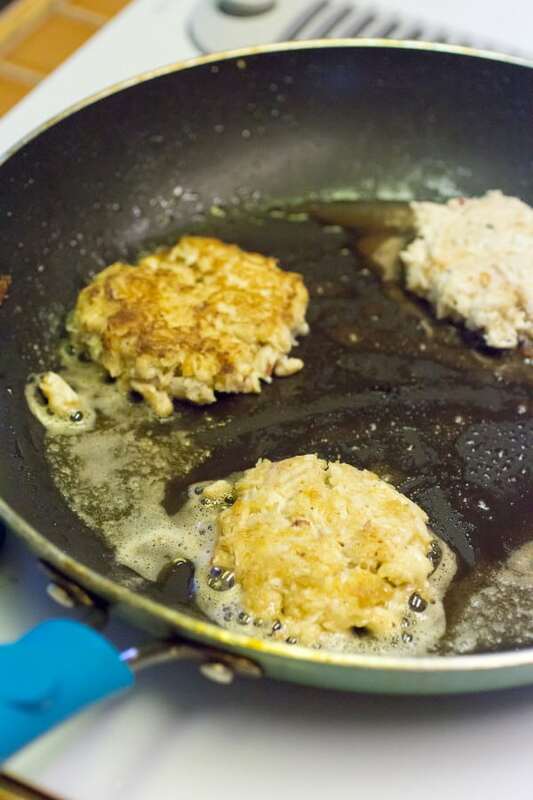 Homemade crab cakes are full of delicious crab, and light on the filler. 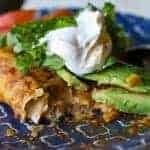 Much better than your typical restaurant variety, you are going to want to make these over and over again! Roast two red bell peppers on your grill over high heat, turning frequently until all sides are charred. Carefully remove to a paper bag, roll to seal, and let sit 10 minutes. Remove from bag and peel skin off of peppers. Slice into thin strips. In blender, add the garlic, salt, egg yolks, lemon juice, and red pepper slices. Blend until well combined, egg yolks have lightened, and the red peppers are fully pureed and incorporated into the mixture. Slowly drizzle in avocado oil while the blender is running until the mixture is emulsified and thickened. 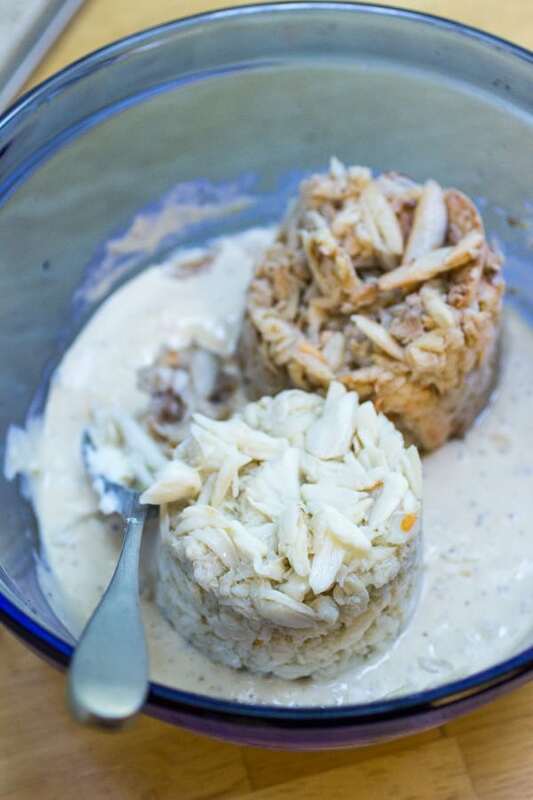 Place into a small dish and chill until the crab cakes are done. Combine the mayo, egg, dijon, worchestershire, and chili garlic paste. Stir until combined. Add in crab meats, crackers, and panko, and gently stir until crab and crackers are moistened. 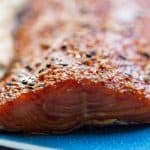 Gently form into discs, taking care not to pack too tightly, and fry over medium heat in a non-stick skillet until golden brown. Flip and fry other side until golden. 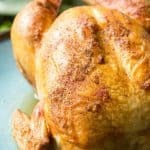 Serve warm with roasted red pepper aioli and lemon wedges. I love that grilling rack for the peppers! 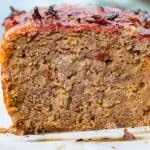 I may have to consider getting that since grilled/roasted peppers are a great ingredient to have in the kitchen well after pepper season is over! I agree! Roasted Red Peppers are a favorite of mine. I have peppers in the garden and crab in the refrigerator. I will have to give this a try. Looks delicious. 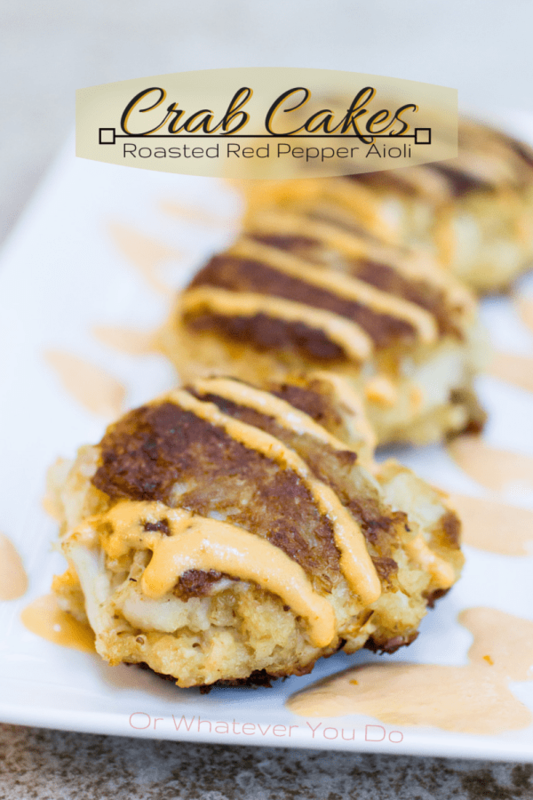 Yes, crab cakes should always have way more crab than filler! And that aioli sounds to die for! I wish I could have an order delivered to me ASAP! We are definitely on the same page with that! Thanks for stopping by, Kimberly! I would use it for roasting peppers and tomatoes of course. 🙂 I really do love roasted tomatoes. 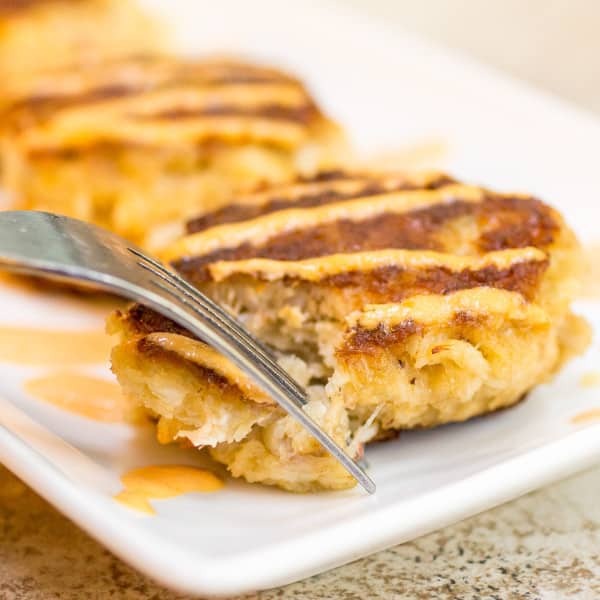 I love crab cakes and have been looking for a good recipe for a long time! 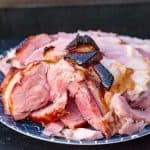 I would use the rack to make this recipe. 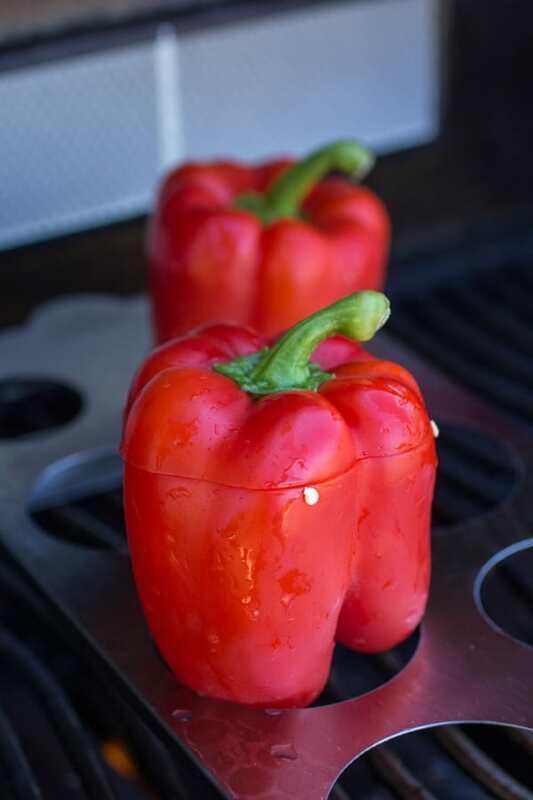 I love roasted red peppers so a grilling rack could certainly come in handy for that! Incidentally, crab cakes are a favorite in my family and yours look delicious. Crab cakes! Sooo good! I did not know that grilling rack for the peppers but now I want one! I would use it for peppers, tomatos, potatos, and so much more.